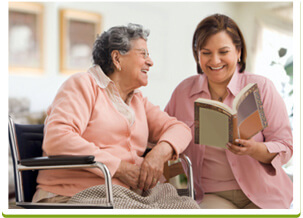 Our Mission | Full Circle Home Care Inc.
Our mission is to enable seniors to live independent and productive lives in their own homes for as long as possible. The Full Circle team does this by providing services with compassion, employing the most experienced caregiver team in the market who work closely with our community-based medical and non-medical partners. We provide optimal care by working closely with families on care design, and carefully considering their suggestions for improvements to care. With an eye towards continual improvement, we also leverage the latest in healthcare technology to ensure consistent communication between Full Circle and our client families, and between the client and community. It is also our aim to act as thought leaders and educators for issues concerning the health and well being of our elders and other people requiring assistance to maintain an independent lifestyle.